BANGKOK – June 22, 2016 – The portfolio of inspiring destinations that create the settings for Six Senses Hotels Resorts Spas is to expand to an exciting island location in Cambodia, a country steeped in history and reemerging onto the world stage of exotic destinations. Six Senses Krabey Island is scheduled to premier in 2018. From its beginnings in 1995, Six Senses quickly became recognized as the hospitality industry’s pioneer of sustainable practices, demonstrating that responsibility can be successfully wedded to uncompromised high-end facilities. 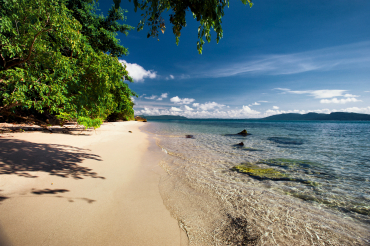 Six Senses Krabey Island further reinforces this dedication to the environment and the community. Located on the island of Krabey, the resort is comprised of 40 pool villas set around the naturally landscaped 30-acre island, with its highest point being 137 feet (42 meters) above sea level. Guests arrive at the mainland reception before the short water transfer to the island. Sihanoukville Airport is less than a 10 minute drive from the mainland jetty, Phnom Penh International Airport is a three-and-a-half-hour drive and Siem Reap International Airport is a scenic eight and a half hours. Sihanoukville Airport has domestic as well as international flights from Ho Chi Minh City, Phnom Penh and Siem Reap, and also has the capability to facilitate international private jets and helicopters. The resort’s private pool villas exemplify Six Senses’ commitment to using sustainable material while embracing modern technology for total guest convenience and comfort. Living rooms will include a day bed that can be adapted to an additional bed, minibar and working desk. The master bedroom will feature a bed with a netting canopy while the bathroom includes a generous bathtub. Some villas will also feature outdoor showers. All units include a private plunge pool and decking ideal for sunbathing and al fresco poolside dining. The resort will offer the Sleep with Six Senses experience which includes Naturalmat mattresses and dedicated sleep ambassadors to guide guests in achieving the very best night’s sleep. Retreat and Reserve villa categories will offer mini wine cellars. An all-day restaurant will serve a fresh breakfast buffet and a la carte selections, a la carte casual lunches and seasonally themed dinners. Snacks, refreshments and light meals are presented poolside plus and a deli complete with ice cream parlor is also planned. An elevated bar will offer the choice of stunning views out to the sea or a cozy sunken area to relax and enjoy evening libations. Indochine is the resort’s specialty dining restaurant which will also include a communal dining table in front of the show kitchen. Hands-on cooking classes will introduce budding chefs to some of the finer points of Indochine-inspired cuisine. Six Senses Spa Krabey Island will feature the Six Senses specialty menu as well as several ancient Cambodian healing traditions and multi-day rejuvenation journeys, Six Senses Integrative Wellness, detox, yoga and workshops. The Alchemy Bar is a fascinating extension to spa personalization first developed at Six Senses Spa Douro Valley in Portugal. Visiting practitioners will bring a range of alternative and acclaimed treatments to those offered by the skilled spa therapists. The spa will also feature a meditation cave, nail bar, gym, outdoor yoga sala and outdoor treatment sala. A beautifully-appointed retail boutique will include a range of resort wear, yoga wear and natural body and beauty products. A spa library and juice bar will incorporate the rich varieties of fresh fruits and herbs from the island. The resort will also include a full-service boutique with clothing, beachwear, accessories and local products for men, women and children. Experiences abound at Six Senses Krabey Island from a range of under and over-water activities that include a snorkeling, diving and kayaking. Cinema Paradiso is a poolside outdoor cinema featuring classic movies to be enjoyed beneath a blanket of starlight. An observatory is planned that will house an astronomical telescope and stargazing sessions with expert talks on the universe - an exciting venue for adults and children to explore, learn, and spend quality time. Six Senses Cambodia has been created to further and reinforce the Six Senses mission: To help people reconnect with themselves, others and the world around them. 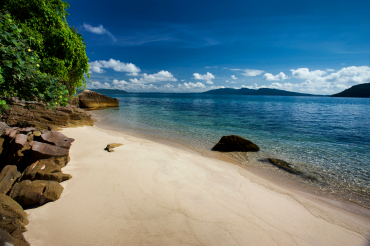 Six Senses is to expand to the island of Krabey in Cambodia. 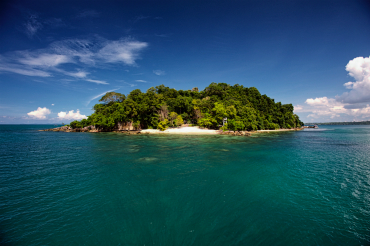 Six Senses Krabey Island is set around the natural landscape. Six Senses Hotels Resorts Spas is a hotel and spa management company comprised of 10 resorts and 27 spas under the brand names Six Senses, Evason and Six Senses Spas. Six Senses operates resorts in far-flung locations of incredible natural beauty known for their distinctive and diverse design personalities. Each of the 10 properties is supported by a leadership commitment to community, sustainability and wellness. Six Senses Spas offers a wide range of holistic wellness, rejuvenation and beauty treatments administered under the guidance of expert therapists. Six Senses Spas operates 17 standalone spas inprestigious hotels and resorts as well as aboard a ship and the premier class lounges of two major airports.